Showcasing the various forms of communication and how it evolved from the ancient cave paintings to the latest in information technology, the Baguio Media Museum & Animation Studio promises a different learning experience to visitors. 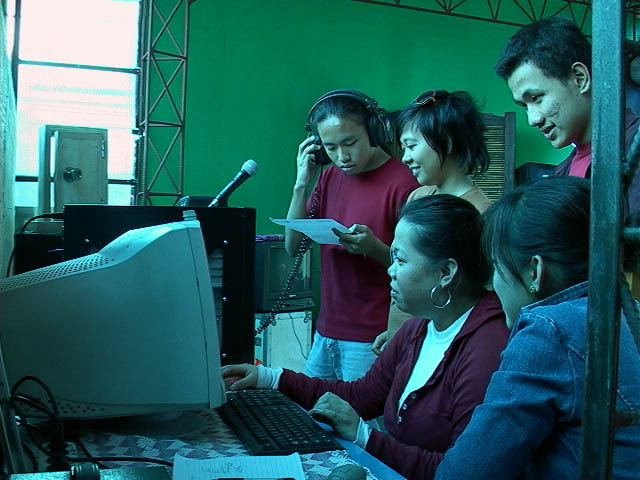 EDUTAINMENT-Above photo shows Mass Communication students of the University of the Cordilleras working on a PC-based radio infomercial project that they conceptualized and accomplished at the studio. The Media Museum has a growing collection of media tools and paraphernalia such as old film projectors, movie cameras, typewriters, microphones, printing equipment etc. 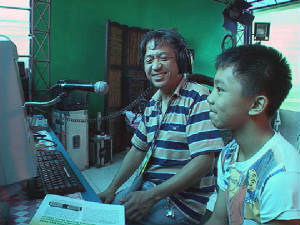 It has a ready to operate radio announcer's booth, darkroom, media library and TV studio. 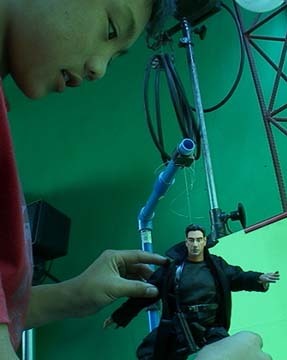 Housed at the studio is an animator's desk and areas for artwoks and movie props. A wide collection of cartoon characters and toys also adorn the recieving area that was originally intended as a garage. Future activities of the media museum will include a residency program for artists, filmmakers and visiting reporters. 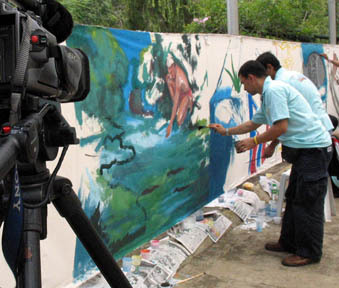 A training module on Video Production, 2D Animation, TV Broadcasting and Photography is now being developed as an add-on feature of the media museum. 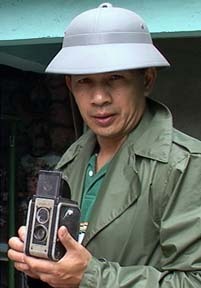 The Cordillera News Agency-Television is preparing a reality-TV type of production that will be aired in Baguio's cable networks. 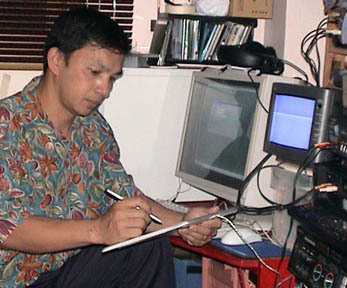 Computer graphics is a recently acquired skill for Art Tibaldo but paint brush painting is something that he does with gusto even on a mural scale.